August 5, 2013 - GE has completed the acquisition of Italy based aviation business, Avio S.p.A., a leading, provider of civil and military aviation components and systems. The purchase price was $4.3 billion U.S. The purchase did not include Avio's space unit. 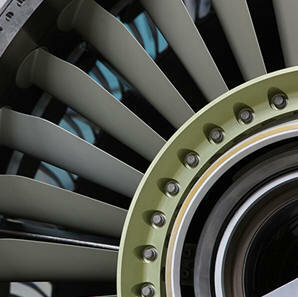 Avio's aviation business has been renamed Avio Aero, a GE Aviation business. Avio Aero will retain headquarters in Turin, Italy. The acquisition furthers GE's participation and expertise in the areas of mechanical transmission systems, low-pressure turbines, combustion technology, and automation systems. "Avio Aero operates in four continents and enhances our global capabilities and engineering strength as our production rates rise," said David Joyce, president and CEO of GE Aviation, based in Cincinnati, Ohio. "Also GE will build Avio Aero's position as a supplier to other industrial and aviation companies. We are thrilled to further our industrial participation in Italy." GE will pursue opportunities for Avio Aero in power-generation, oil, and marine products. For example, Avio Aero's capabilities in transmission systems present growth opportunities in several industrial sectors. Avio Aero operates Italian plants in Turin, Pomigliano d'Arco (Naples), and Brindisi, with 4,000 of its 4,700 employees in Italy. Avio Aero also has plants in Poland, Brazil, and China. Its customers will benefit from GE's planned investment in these operations to expand their products and services. Additionally, GE sees excellent opportunity in the acquisition of Avio Aero related to margin expansion. GE Aviation has a long history with Avio Aero, which has been a strategic supplier to GE for almost 30 years. GE and its joint venture companies comprise more than 50 percent of Avio Aero's revenues. An integration team of GE and Avio Aero leaders have been planning since January. Avio Aero, which dates back to 1908 in Turin, benefits from continual R&D and on-going relationships with leading universities in research centers. Avio Aero has content on GE engines ranging from the large GE90 and GEnx turbofan engines for the commercial aircraft sector, to the smaller CT7/T700 turboshaft engine family for civil and military helicopters. These GE engines are among the best-selling in aviation and are expected to provide a profitable, long-term revenue stream for the company. GE, parent company to GE Aviation, already has a significant presence in Italy with more than 7,700 employees in seven GE businesses at more than 20 locations in-country, including the global headquarters of GE Oil & Gas Turbomachinery Products & Services in Florence with more than 5,200 employees in Italy.